*Click listen live link at the time of the broadcast Tuesday at 1pm New York time. Charlie is a professional consultant for Criminal, Civil, Domestic Violence and Major Case situations. Ina addition Charlie offers Personal Armed Security, Estate Management, Bodyguard Services, Event Planning and Personal Issue Management. 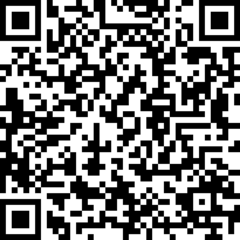 Listen to what you can do about personal crime prevention. The Disaster Recovery Hour with Chris Plunkett is a weekly radio show covering disaster (and other unexpected interruptions) that effect normal operations for homeowners, neighborhoods, businesses and governments. Topics covered include lessons learned from past events, current disasters and potential interruptions which can significantly affect our lives. Chris explains procedures to achieve preparedness, recovery and restoration in plain language, citing examples from actual events. 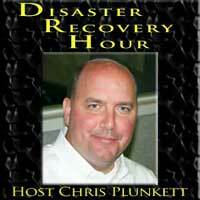 The Disaster Recovery Hour provides listeners with a forum to interact with the host and experts. The program’s Advisory Board consults with the Chris to plan topics, content and resources for the show. The format includes live interviews with representatives from government agencies, continuity professionals, legal and financial experts, contractors and specialists who have firsthand experience in handling various emergencies. The Disaster Recovery Hour empowers listeners with information and resources to become resilient against an event; or plan for recovery afterwards, in order to survive and thrive in today’s challenging world. The Disaster Recovery Hour has partnered with the Association of Contingency Planners www.acp-international.com the largest association of professionals in the US) to enrich programming content and facilitate interviewing subject matter experts. The Disaster Recovery Hour is broadcast live from the studio on WVNJ 1160 AM to the New York Metropolitan area including Nassau, Suffolk, Westchester, Rockland and Orange Counties; and Bergen and Union Counties in New Jersey on Tuesdays from 1PM to 2PM. The program streams live on the Internet at www.drhradio.net. The program is re-broadcast Saturdays at noon and always available on the Internet via podcast at www.drhradio.net. With several shows addressing the disaster in Haiti, Chris and his guests have given the listeners insight into how we all can make a difference in the lives of people that have experienced disasters first hand. With guests from the NJ Office of Emergency Management, The Red Cross, Project Net Hope, The Living Heart Foundation, Waveplace International, MMRC Global and a wide range of emergency services companies.